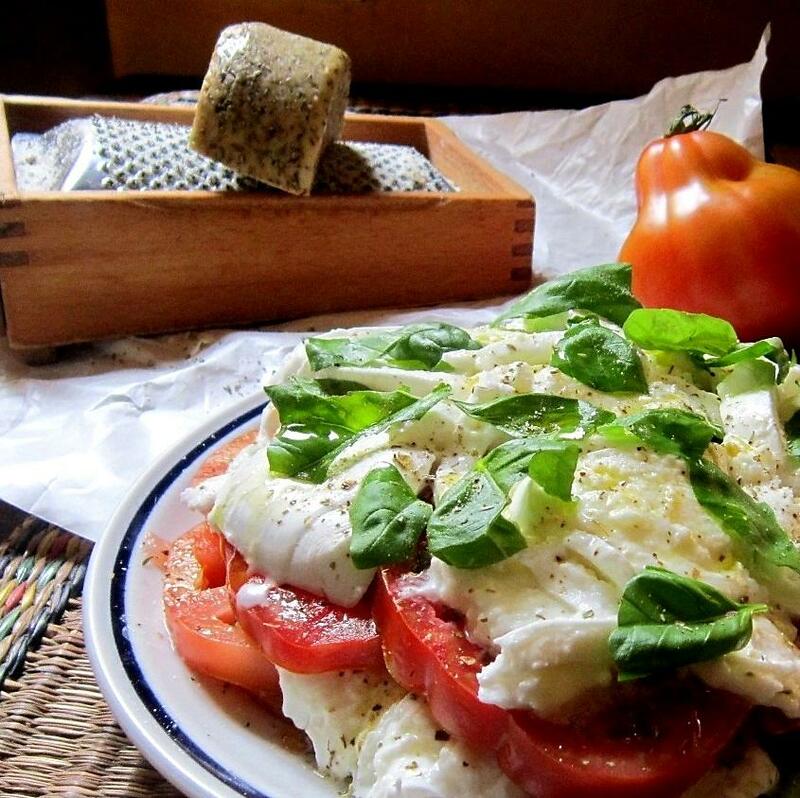 In the verdure of Spring I dream of blushing tomatoes, thinly sliced and draped with milky mozzarella, basil leaves scattered asunder with a drizzle of fruity extra virgin olive oil and a sprinkling of salt and pepper. There is no salad simpler or more delectable than an Insalata caprese, but minimalism has a price. For this is a salad that can only be eaten in the height of the Italian Summer – it’s all about the tomatoes, firm yet flavourful, bursting with juice and sun-ripened on the vine. The heavyweight of the salad tomatoes is the Cuore di Bue or the ox heart tomato. They are a thing of beauty. Succulent and aromatic with velveteen flesh, it partners exquisitely with Mozzarella di Buffala Campana DOP. 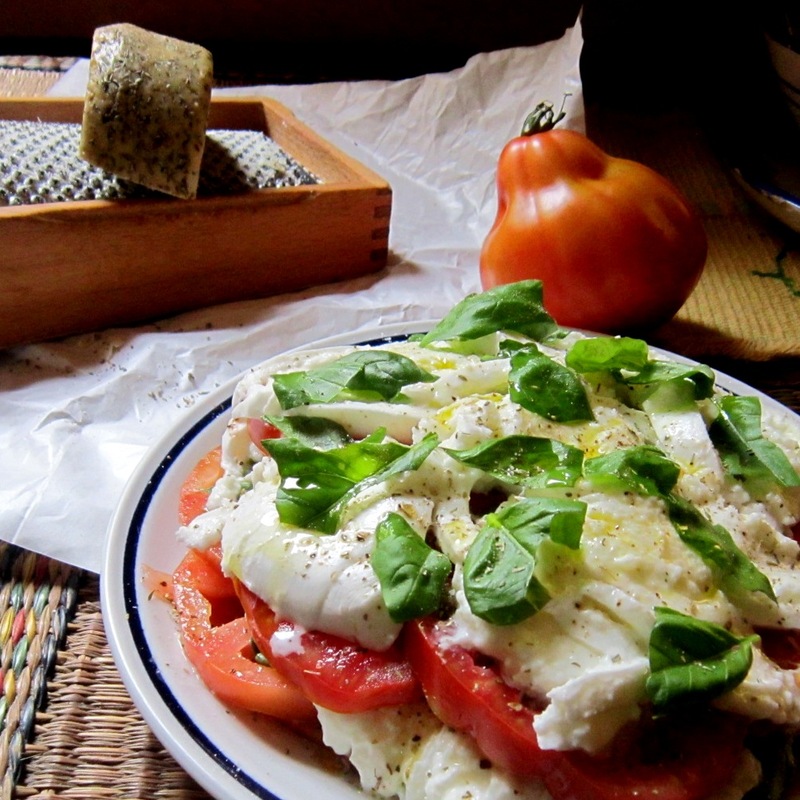 It’s no surprise that the caprese (of Capri) hails from Campania! But be warned that once you have tasted an Insalata caprese of the finest ingredients, it is hard to go back. Mozzarella di mucca (or fior di latte) lacks the hint of tanginess and suppleness of di buffala, quivering and moist with whey. Life is full of compromises when counting pennies, but for me splashing out on what seem to be the simplest of ingredients is well worth the couple of extra Euros, as summer only comes but once a year – especially a summer in Italy! No need for a recipe here is there? 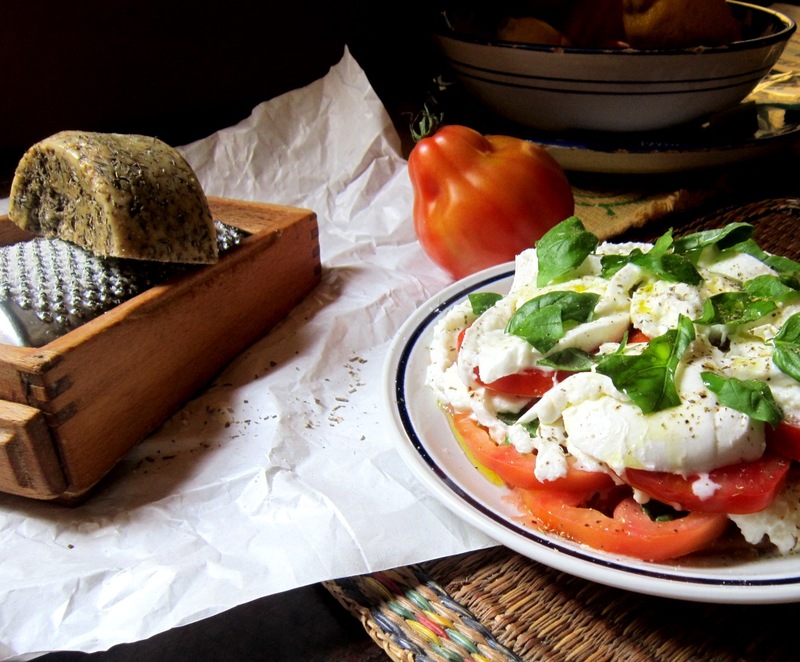 Just tomatoes, mozzarella, basil leaves and olive oil – oh my! Eat al fresco with a glass of a crisp chilled white wine and enjoy!